DETROIT, MI [COCC] -- Due to the (albeit beautiful) increasing snowfall across the city, tonight's "Christ is Born! Glorify Him! 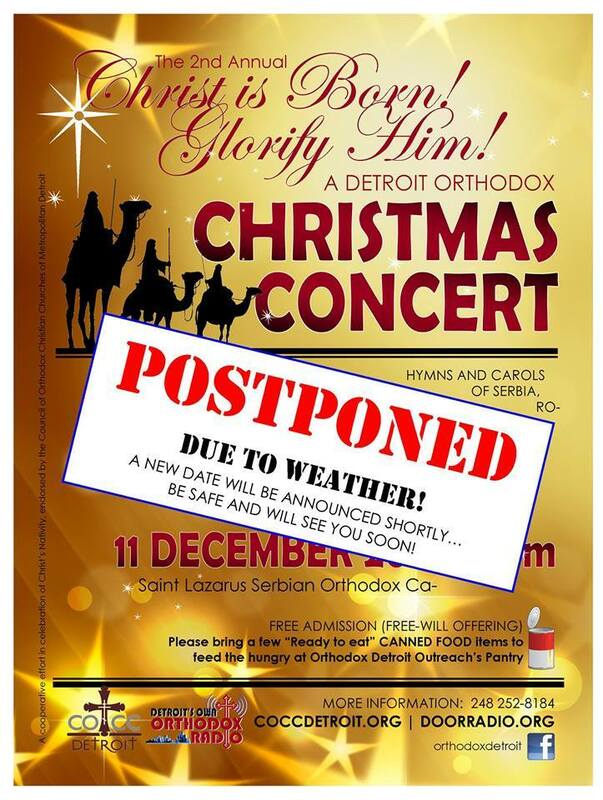 A Detroit Orthodox Christmas Concert" is officially POSTPONED. The committee appreciates your understanding, and will inform you of a rescheduled date as soon as possible. Please be safe, enjoy this wonder of God's creation, and plan to be with us on the new date!